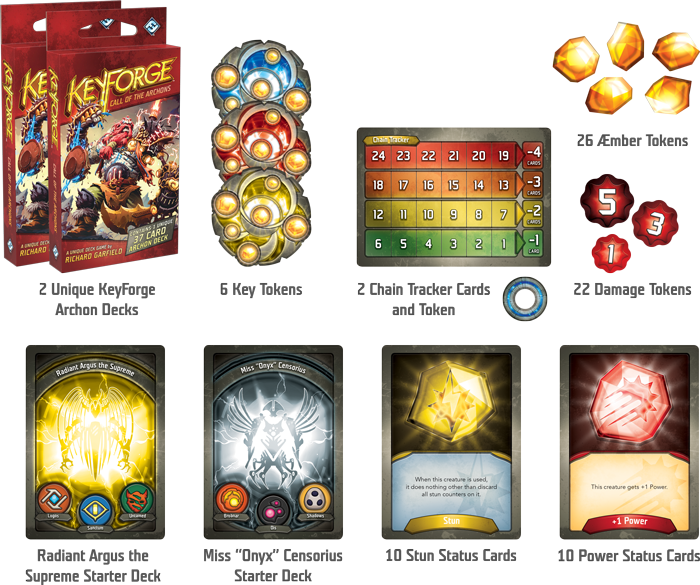 Keyforge, The Procedurally Generated Card Game! Preorder Today! Order today from our online store, GeekHome.co.za! Ships 15 November. Leading their diverse teams, filled with followers from three of the Crucible’s great Houses, the Archons must gather Æmber, stave off their opponent’s progress, and ultimately be the first to open a Vault and gain its incredible knowledge. With a vast array of creatures, artifacts, and abilities and over 104 quadrillion possible decks, every deck is completely one-of-a-kind, and no two battles will ever be the same! 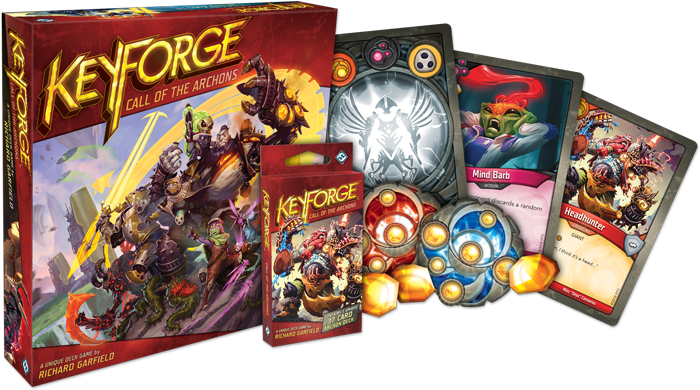 The Keyforge: Call of the Archons Starter Set also includes a collection of keys, tokens, chain trackers, and status cards to give you and your chosen opponent everything you need to start playing! October 31, 2018 in Keyforge. ← The WAAAGH! is Here! New Codex: Orks, Available for Preorder!